This weekend, Poor House Bistro is hosting a huge New Orleans-style party for the benefit of the Stroke Awareness Foundation. There will be 9 bands playing on 2 different stages. Of course, there will be lots of traditional Cajun dishes and New Orleans craft brews. The event runs from 10am to 8pm on Saturday and reservations are required. 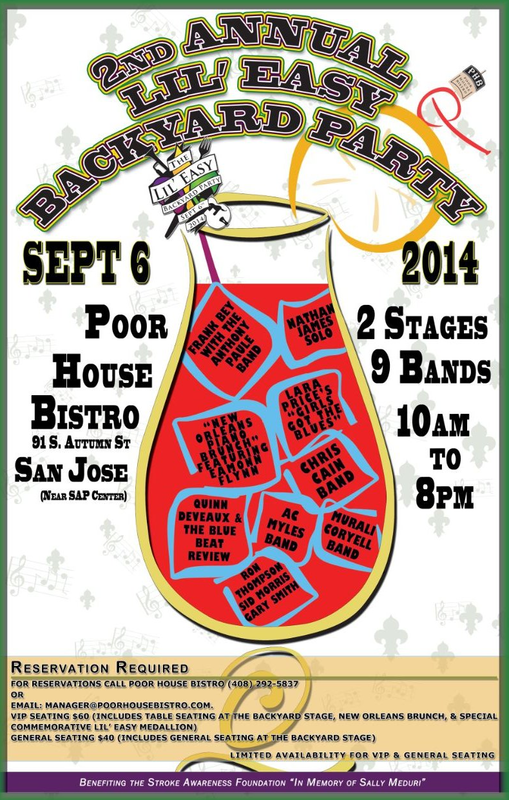 You can secure access by calling (408) 292-5837 or emailing manager@poorhousebistro.com.